Call these guys. 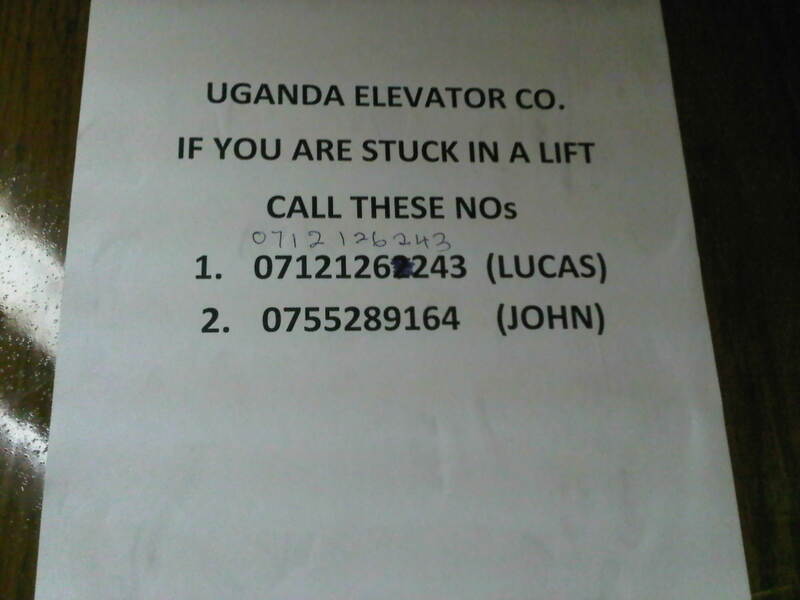 Spotted in a prominent Ugandan government office, where the lifts stop on a programmed set of floors. Don’t get in the wrong one, otherwise you’ll have the accidental pleasure of elevator surfing. And they don’t move that fast. Unfortunately I have recently been in multiple such government office buildings, so this description is not even a give-away. In other news, Uganda Cranes oye! We go, we go, Uganda Cranes we go, WE GO! Best of luck tomorrow, and everyone stay safe! P.S. Looking forward to your photos @echwaluedward!